Born in 1950 in Adelaide, Australia, Richard Miles Jackman, spent the first years of his life in England. In 1962 he returned with his family to Australia where he began learning the guitar at the age of 13. Shotly thereafter he began his training in classical guitar with Sadie Bishop who headed the classical guitar program at the Melbourne Conservatoire. From 1969 to 1973 Jackman studied mathematics at the Pennsylvania State University in the United States. There he took the opportunity attend the basic courses in harmony and counterpoint required of students majoring in music. In October of 1970 the PSU Music Department sponsored his first public classical guitar solo recital in which, in addition to pieces from the standard classical guitar repertoire, he performed a suite of his own compositions entitled 'Six Songs'. After attaining his Bachelor of Science degree in mathematics, Richard Miles Jackman moved to Europe where he attended classical guitar master classes of Andrés Segovia and Rómulo Lazarde before finally settling in West Germany. From 1974 to 1979 he studied at the Würzburger Musikhochschule. His teachers were Dieter Kirsch for classical guitar and Berthold Hummel for composition. In addition to his concerts in Europe and the United States, Richard Miles Jackman has made various LP, CD and radio recordings. 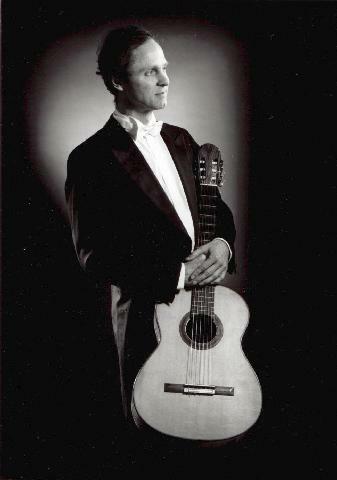 Richard Jackman is presently a classical guitar instructor at the University of Würzburg.